priced from$144K to a whopping $1,094,625 in Nantucket County in Massachusetts which is the highest around thus far. The Department of Veterans Affairs’ Loan Guaranty program does not impose a maximum amount that eligible veterans may borrow using their VA guaranteed loan. 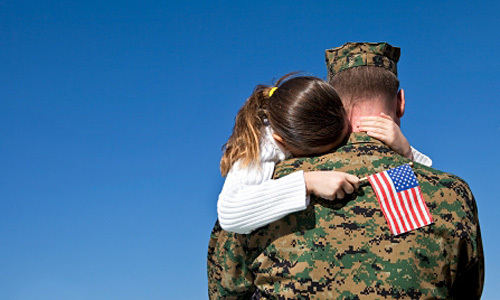 the individual veteran to negotiate with the lenders in a case by case basis. However, VA establishes and publishes a list of county “limits” that must be used to calculate VA’s maximum guaranty amount for that particular county. VA county list will be revised from time to time – the most recent one that I know of was put in affect on January 2010. In any case the maximum loan guaranty amount available - for loans over $144,000 -is 25% of the VA maximum loan list. (Please see complete VA maximum loan list – county by county - below) Please notice that it is consistent with I pointed in the beginning of this page and elsewhere on this website. All veterans with full entitlement available may borrow up to the VA Limit shown below and VA will guarantee 25% of the loan amount. However if you have previously used your entitlement AND it has not been restored, the maximum guaranty amount available to that veteran must be reduced accordingly. Please take note that VA does not like to put their guarantee behind a veteran who already owns another home – paid off or otherwise. So you would like to buy a second home it would be a good idea to put your current home up for sale. NOTE: For all counties other than those listed below, the maximum is $417,000. Please check with your VA Regional Loan Centers where you can get info from the horse’s mouth. This concludes the VA maximum loan list - If you did not find your county listed here, then you more likely will fall on the $144,000 to $417,000 I mentioned above. Remember that your mortgage consultant or your real estate agent may have more info for your area. Your Your VA Regional Loan Center is always a good place to call for help: They will always have the updated VA maximum loan list - please click here to find directions for the RLC serving your area.